One of the first and the most obvious features of AD200 is its portability. It has a lithium Ion battery built right in, so there is no need to connect it to wall power or an external battery pack. It weighs less than 2 lbs, which means it’s a little bit heavier than the Godox AD360ii. From the solid construction, you can see that they packed everything in as tightly as they could. The battery provides the strobe with 500 full power flashes. It takes 2 seconds to recycle full power. And at a quarter power and below, it recycles almost instantly. For power, Robert tested it against the V860II (or the Flashpoint Zoom R2 Lithium Ion) and the Godox AD360ii (also known as the Flashpoint Streaklight TTL). He set the V860II to 35mm equivalent, so that it would match the beam of power that you are getting out of the AD200. The AD200 metered 1.5 stops more than the V860II, at the same distance, meaning it’s equivalent to exactly 3 speedlights. Next, he switched the bulb to the omnidirectional head, and then I put the 5” reflector dish on, which is the same reflector that comes with the AD360, and compared those two. The AD360ii was just 0.8 stops stronger, which means about 2/3 of a stop. This is very impressive for the AD200, as it comes in a much simpler package yet packs a very similar output to AD360ii. The display is simple and intuitive. It has a power dial if you want to control the power from the light itself. Also, there are controls for the 5 groups, channel, custom functions, LED, and HSS. The only downside is that the screen itself is pretty dim and tough to see in bright conditions. The AD200 has 2 interchangeable heads. First, it has a fresnel speedlight head, equivalent to a 35mm zoom head on a speedlight. It also has 2 strips of LED lights, but they aren’t powerful enough to be used as a modeling lamp. Second, it has an omnidirectional bulb very similar to the Godox AD360ii. This means you can use just one flash for speedlight, or for monolight heads. 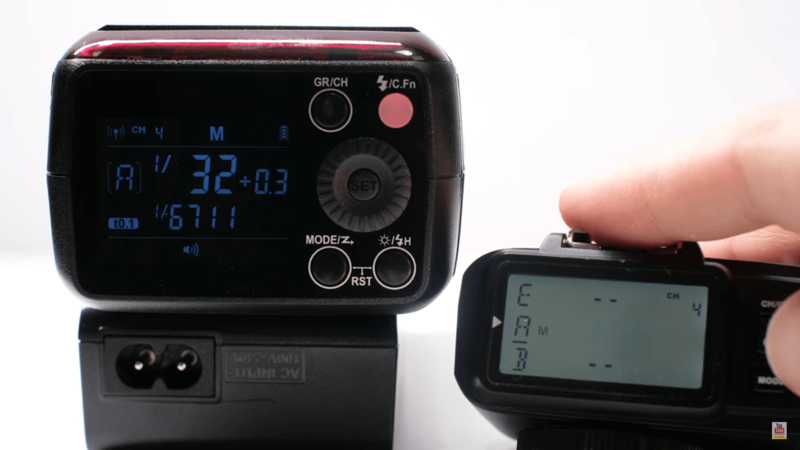 In terms of compatibility, the Godox AD200 has the same 2.4Ghz radio technology as the rest of the X Series. This means you don’t need an external receiver or cable to control the power of this flash remotely. You can change the power, as well as access it’s TTL and HSS features remotely by using a Godox X1, XT32, or X Series speedlight. Since Flashpoint, Cheetah, Neweer, Pixapro, and StrobePro all rebrand the Godox X series, it will be 100% compatible with their series equivalents as well. It actually accepts TTL, Hight Speed Sync, and control signals from Sony, Nikon, and Canon. So if you’re a multi-brand user, this means you can use this strobe with all your brands as long as you have the appropriate master controller. 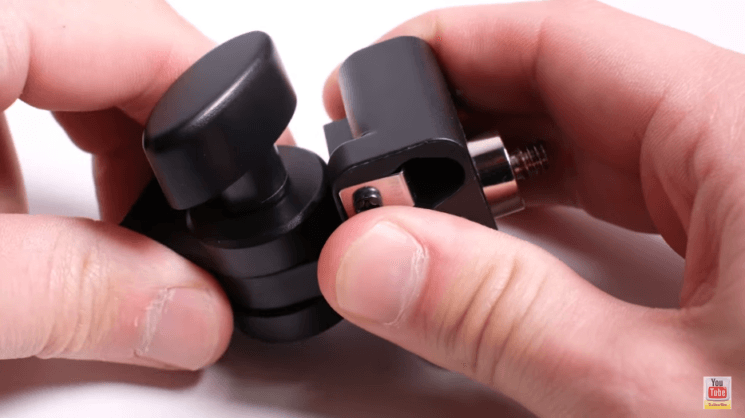 The Godox AD200 is also being called a modular strobe. While there are ridges on the top and bottom that would allow for seamless stacking, Robert doesn’t think it’s going to be secure enough that they are going to connect in any fashion. A bracket specifically designed to accommodate multiple AD200s will probably be available once the strobe goes on sale. There are 2 1/4” 20 threads on the bottom and side of the body of this flash. This allows the AD200 to be attached to a stand, but it also has a simple flash stand that allows for tilt and attaching an umbrella. The Godox AD200 will be launched with a barn door attachment that will also hold a proprietary system of honeycomb grids and color correction and effect gels. As you can see from the review, this is a very flexible and versatile light with great output. You can find it useful both in the studio and on location. Despite some minor downsides, it’s still quite powerful and portable piece of lighting gear you can use in various situations. The Witstro AD200/200x/eVolv 200 is available for preorder at the price of $329.95.